Which, ironically, fits the theme of what I’m about to share with you. 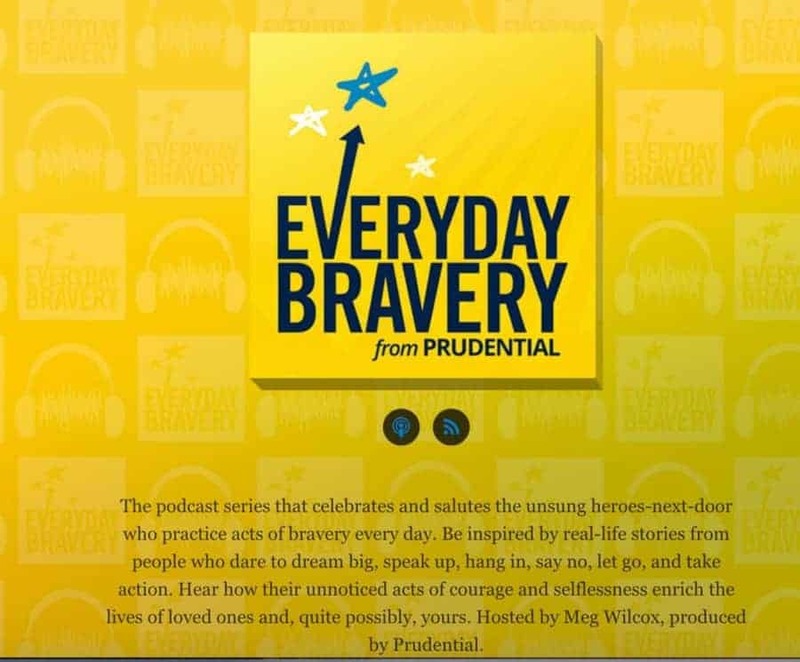 I was interviewed for a podcast by Prudential on Everyday Bravery, and that podcast is live today. I’m extremely nervous about sharing this, as it is a very personal bit of me. It is a glimpse not just into my life philosophy regarding fear and risk-taking, but it also highlights a period in my life that I have not shared widely, even with people who know me well. We all tend to underplay adversity in our lives, and I certainly down-played or hid the severity of what I went through during a period where I almost died, or wished to die. To make things worse, I cried when they were interviewing me and I cry maybe twice a year. So, as I said, I’m terrified and I feel very vulnerable sharing this, but the way I deal with fear is to confront it head on. So here goes nothing. I start at about 17 minutes or so into it and it’s only 10 minutes, but the other two stories are incredible and I would urge you to listen to all of it. I’d love to hear from those of you who listened to this, and to learn how you deal with fear in your own life. Listen to the Podcast here. Urvashi, you are, and continue to be, an inspiration to me. We are alike in so many ways (while not RA, I’ve had my share of health issues and starting over). I am so sorry you had to go through this, but I am grateful you shared your story! Thank you! P.S. I’m also a data nerd! Yay for data nerds! What type of data nerdery do you go in for? Thank you so much for taking the time to listen to it!